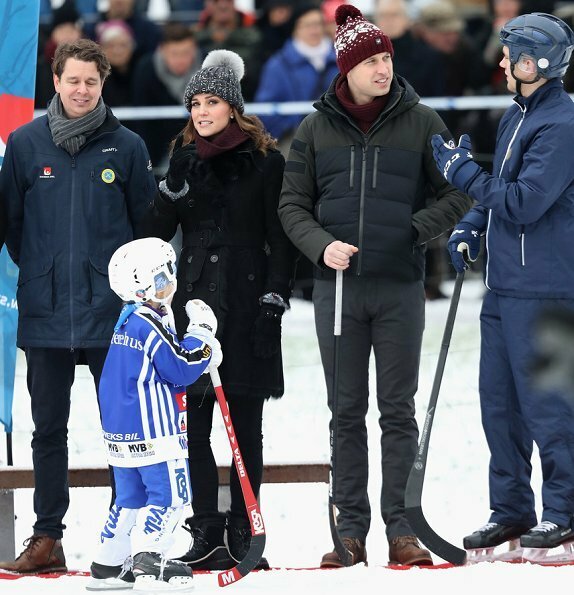 The Duke of Cambridge, Prince William and Duchess Catherine of Cambridge currently make an official visit to Sweden. 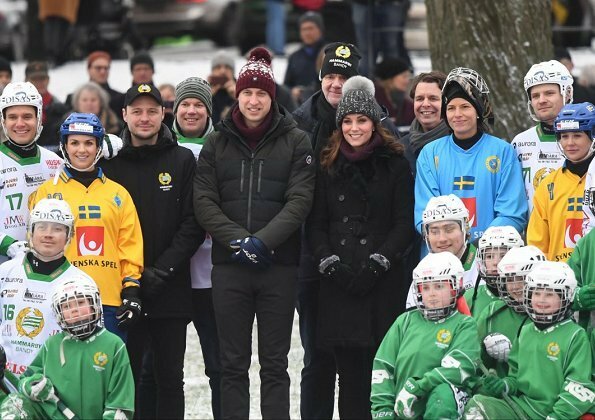 On the first day of the visit, Catherine, Duchess of Cambridge and Prince William, Duke of Cambridge attended a Bandy hockey match at Vasaparken on January 30, 2018 in Stockholm. Great,really great! 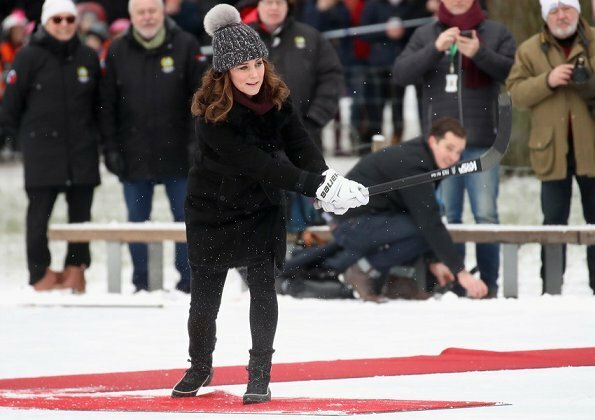 Nice coat, very elegant, and it surprisingly goes very well with very sporty boots. Kate is simply beautiful. As usual they look colour-coordinated, and in their element. Catherine and William look terrific. Still think Catherine looks the best she ever has during this pregnancy. Love her cozy coat and flecked hat. Her boots are fun and stylish, too. 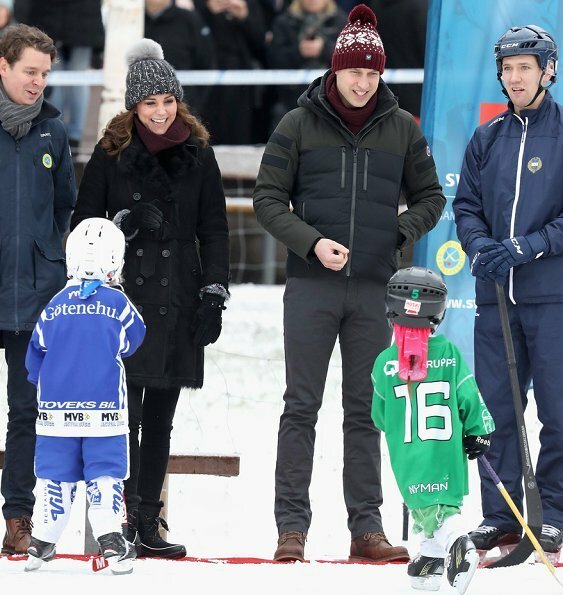 William and Catherine look great. The black trench coat of Burberry fits Catherine very much. lovely and casual!!! Very nice. Wow! This coat works so well with the sports outfit. 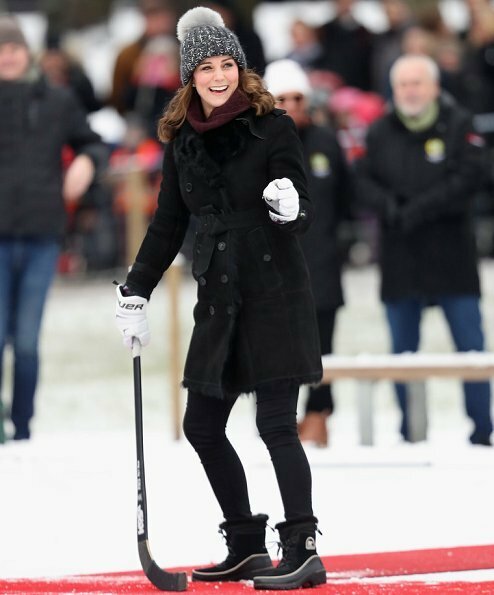 Catherine looks so happy, so fresh and young and beautiful. She is glowing!